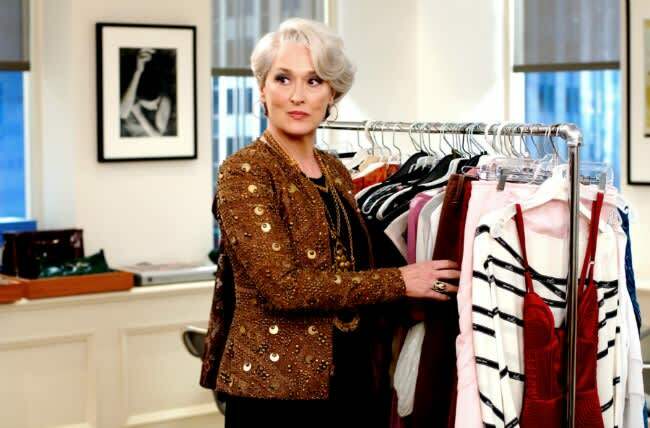 Meryl Streep reveals her inspiration for The Devil Wears Prada role 10 years on | HELLO! Ten years after The Devil Wears Prada hit cinema screens, Meryl Streep has finally opened up about her experience of playing the powerful and intimidating magazine editor Miranda Priestly. Although the Oscar-winner was widely believed to have based her portrayal of the character on Anna Wintour, she has revealed she actually received inspiration from a rather unexpected source. "The voice I got from Clint Eastwood," Meryl revealed in an interview with Variety, adding that the actor "never, ever, ever raises his voice and everyone has to lean in to listen, and he is automatically the most powerful person in the room." The technique paid off, and Meryl's co-star Anne Hathaway admitted that at the first read-through the cast "drew a collective gasp" at the actress' "unexpected and brilliant" tone. As for Miranda's high fashion appearance? Meryl looked to two style muses - Carmen Dell'Orefice and Christine Lagarde respectively. "I wanted a cross between her [Carmen] and the unassailable elegance and authority of Christine Lagarde," Meryl admitted. While the film has become a cult hit in the decade since its release thanks to the performances of both Meryl and Anne Hathaway, it has emerged that Anne was not originally the first choice to play Andy. Rachel McAdams turned down the role on several occasions, with Anne admitted she was really keen to star in the film. "I had to be patient. I wasn't the first choice," she admitted. Reflecting on the moment she found out that she had been offered the role, she said, "I had some buddies over. I remember running out in my living room, half dressed, screaming, 'I got The Devil Wears Prada! I got The Devil Wears Prada!'"